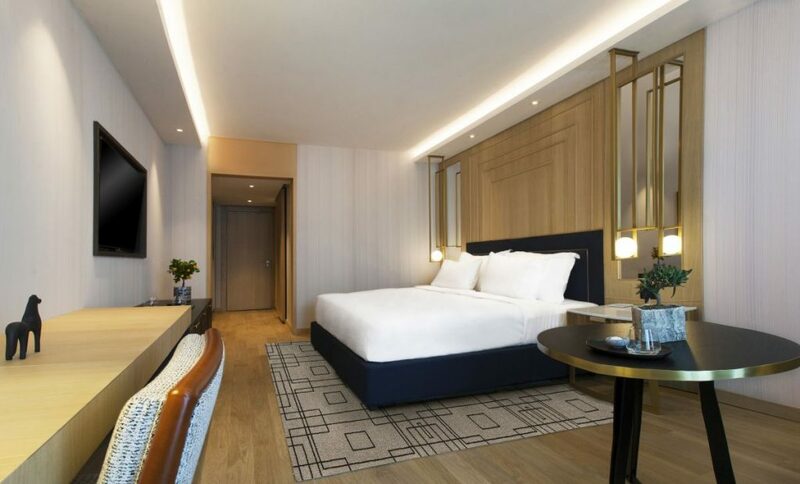 The Grand Hyatt Athens, the first Hyatt hotel in the Greek capital and the first Grand Hyatt branded hotel in Greece, has opened its doors, according to an announcement by Hyatt Hotels Corporation. Located on Syngrou Avenue next to the Onassis Cultural Center, the luxury property combines dramatic architecture with innovative design and is easily accessible to historic sites and the city’s restaurants. The hotel is situated in the property where the former Athens Ledra hotel (and formerly the Ledra Marriott) once operated. The hotel has 309 guestrooms, 38 of which are suites, including the Presidential Suite, Royal Suite and four Grand Executive Suites with terraces. The rooms feature views of either the Acropolis, the cityscape or the inner landscaped garden. King guestroom in Grand Hyatt Athens. “Athens is fast becoming the destination of choice where ancient history sits alongside modern coffee shops and rooftop bars,” said Nikos Trikourakis, general manager of Grand Hyatt Athens. The property’s rooftop offers the Penthouse Restaurant and an outdoor swimming pool with views of the Acropolis. “Our hotel will offer guests who seek first-class hospitality unforgettable experiences and a luxurious place to stay,” Trikourakis added. Grand Hyatt Athens also offers a venue for every type of event with almost 21,500 square feet of flexible event space and seven flexible multi-functional meeting spaces accommodating up to 1,000 guests. Bar and lounge in Grand Hyatt Athens. In addition, its wellness center features four private treatment rooms, an indoor heated swimming pool, relaxation lounges, a sauna and a Turkish bath, known as a Hammam (to open in early 2019). Celebrating iconic Greek culture, the hotel incorporates curated art reminiscent of ancient Athens. Alongside original pieces from the Museum of Cycladic Art, the hotel also showcases an impressive lobby with an extraordinary art installation called The Coin, which is made from replicated, ancient Athenian coins representing the Greek economic supremacy in the fifth century BC. 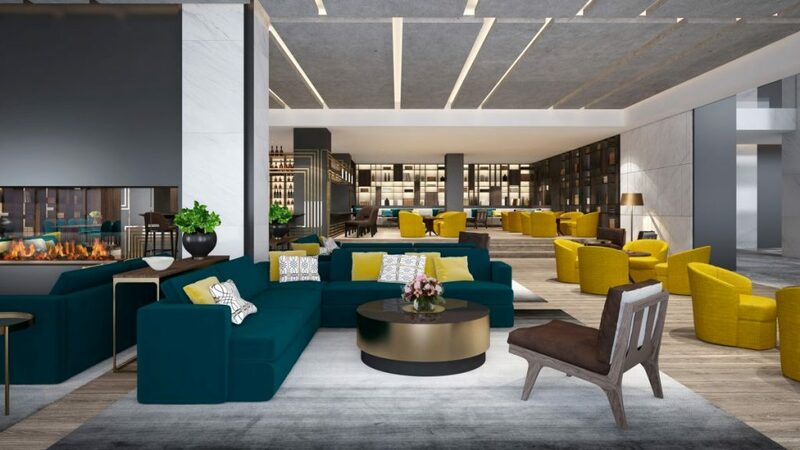 The hotel will be managed by Kokari Limited and has been developed by the international real estate investment companies Henderson Park and Hines. 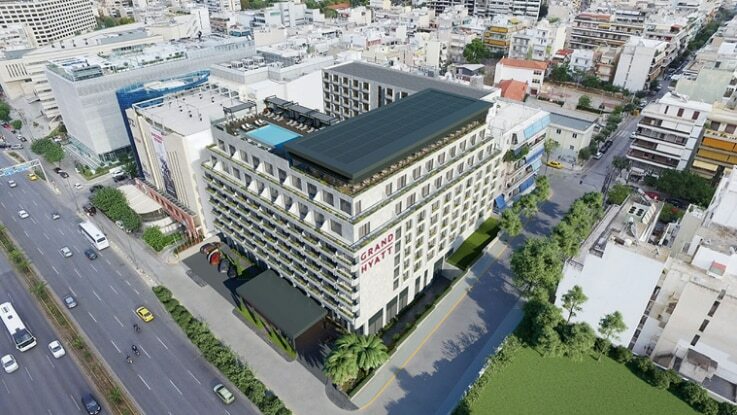 It will be the second Hyatt property in Greece, joining Hyatt Regency in Thessaloniki. Hyatt Hotels Corporation, headquartered in Chicago, is a leading global hospitality company with a portfolio of 14 premier brands. The company’s portfolio includes over 700 properties in more than 50 countries across six continents.